What happens when an artist becomes the subject of a work of art rather than its creator? That is a question Olivier Widmaier Picasso, grandson of Pablo Picasso, asks in the new exhibit Revealed. Olivier Widmaier Picasso curated the series of photographs now on display at Washington DC's Sofitel hotel. 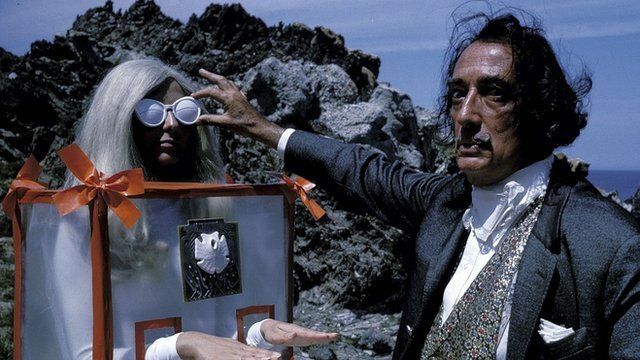 The show features images of artists - Salvador Dali (shown above), Rene Magritte, Jeff Koons - at work, in their studios and behind the scenes. The photographs, which first appeared in Paris Match, will tour the US and Canada. Olivier Widmaier Picasso spoke to the BBC's Hugh Scofield in Paris about his favourite images and his grandfather's legacy.